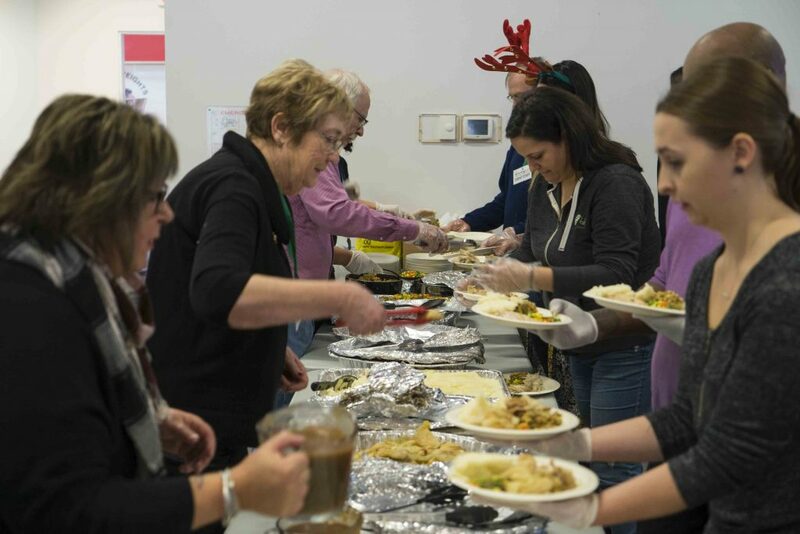 On December 20th, Turning Leaf hosted the annual Christmas Lunch, an opportunity for us to put smiles on the faces of our wonderful participants. 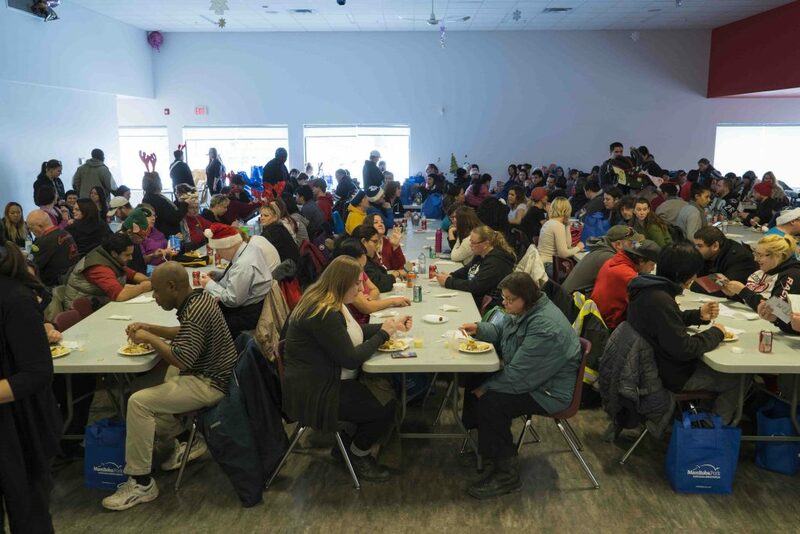 We were thrilled that we were able to fill the Sturgeon Heights Community Centre with more than 300 people. We’ve never seen the rec room so packed! Nothing makes us more happy than giving them something special to look forward to year after year. Meeting Santa, receiving a gift, or simply having the opportunity to sit down for a meal with friends brings that little bit of stability into their lives. We also received a surprise visit from Scott Fielding’s office, the MLA of Kirkfield Park and Russ Kathler, Province of Manitoba, who came to show their support! 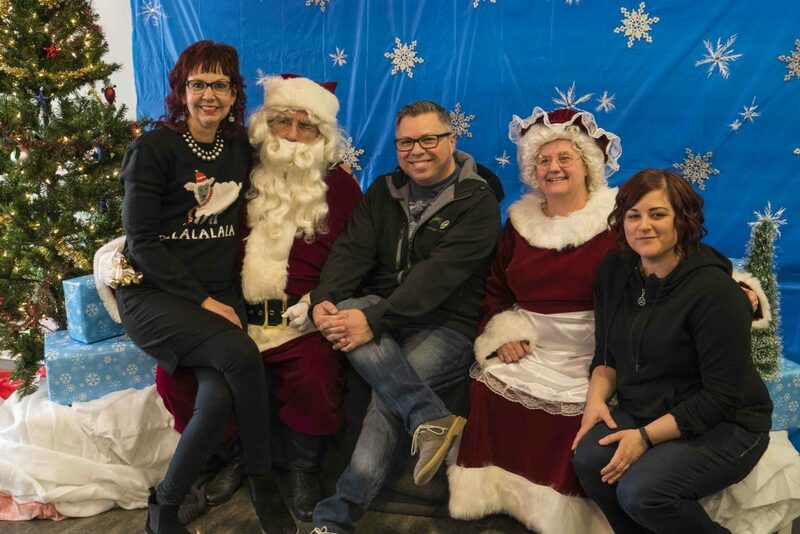 Leanne Peters, Director of Community Relations, Barkley Engel, CEO and Founder of Turning Leaf, and Chantal Boulet, Executive Assistant, sit down with Mr. and Mrs. Claus to tell them what they want for Christmas. 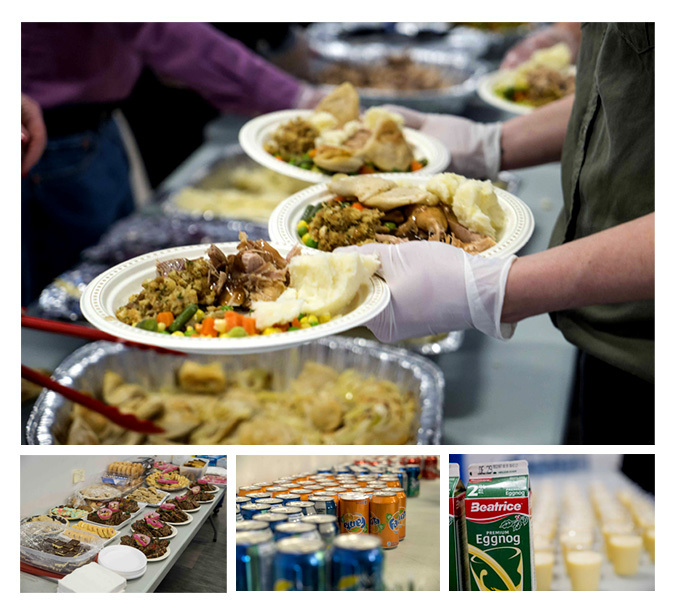 The food, which was generously donated to us by many sponsors, was oh-so delicious! 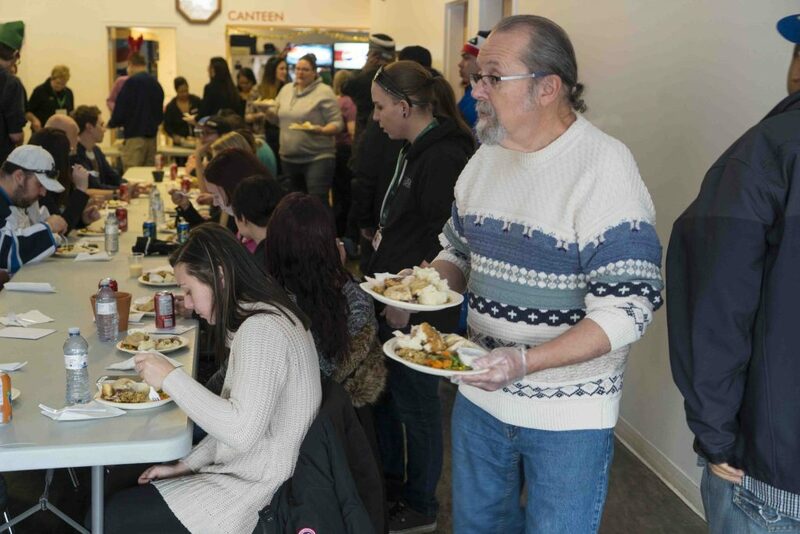 From eggnog to a traditionally cooked Christmas dinner, from beverages to desserts, we had it all! Our participants told Santa and Mrs. Claus their Christmas wishes, and Helen White and Bob Vandenbroek provided their beautiful renditions of Christmas music. 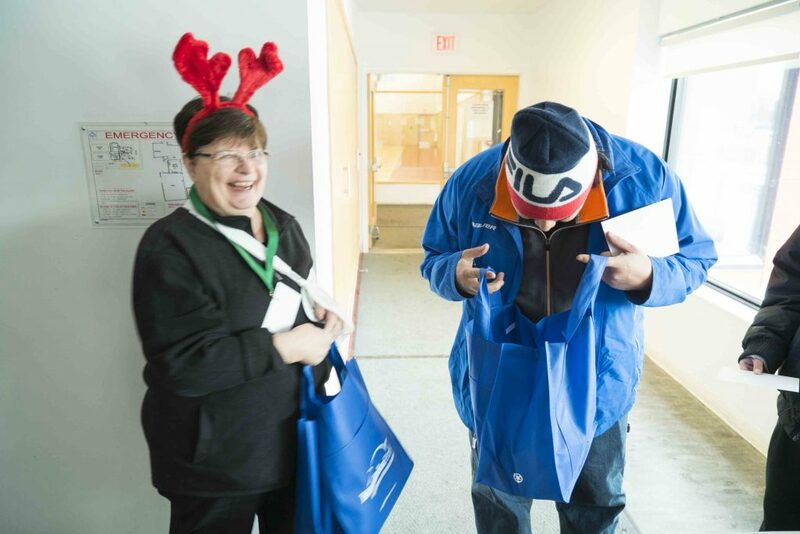 One of our participants eagerly looks through his gift bag to see what goodies he got this year for Christmas. 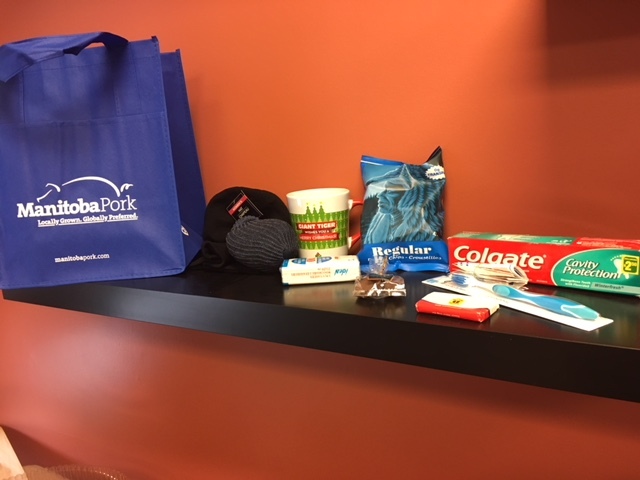 We’re so happy we got to hand out these gift bags and everything inside, which included toothpaste, floss, toothbrush, socks, a mug and lots more! We prepared hundreds of gift bags of everyday items for our participants. It is so rewarding to see the smiles on their faces, of course, none of this would have been possible without everyone in the community who donated their time and resources. 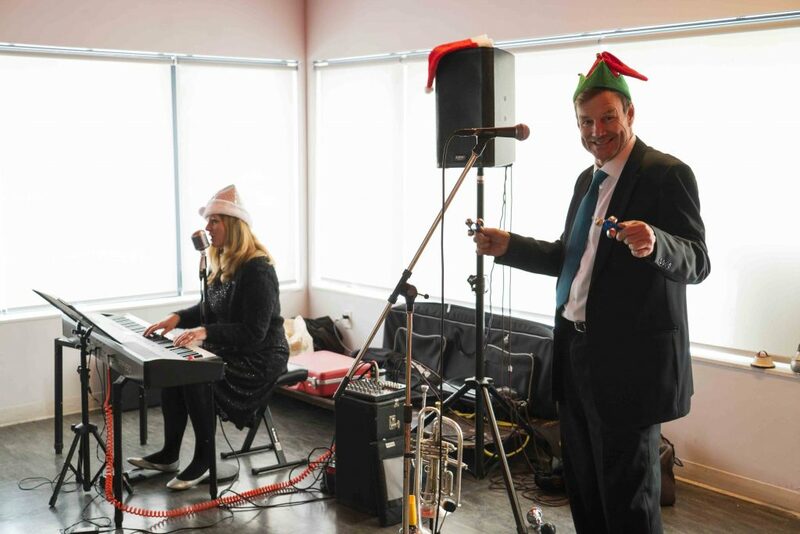 … or all the donors, whether they’re Business Sponsors or generous individuals, you are the reason our Christmas Lunch was as special as it was. It was a great day of sharing and spreading joy this holiday season at Turning Leaf, so we’d like to say, thanks, Manitoba!